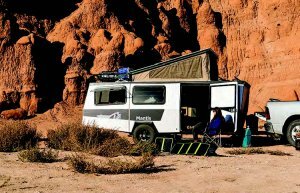 Two relatively new players have tapped into a growing market for outdoor enthusiasts and adventurers with camper and trailer products that can hit the road – and off-road – with a zest for exploration that’s redefining RV design and function. 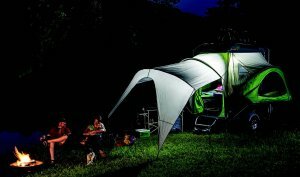 As Millennials become the largest purchasing demographic since the Baby Boomers, and as some Baby Boomers seek to downsize, SylvanSport and TAXA Outdoors offer towable units that strike at the heart of the REI outdoor retailer demographic. 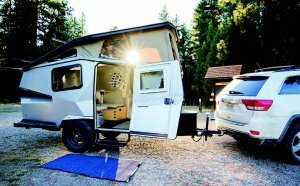 When asked if “unconventional” best describes SylvanSport’s GO camper, founder and CEO Tom Dempsey agrees, but also offers a more detailed description. 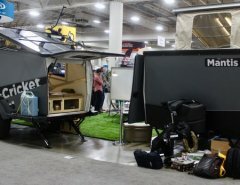 Antonio Gonzalez, president of TAXA Outdoors, the manufacturer of the Mantis, Cricket, Tigermoth and Woolly Bear trailers, says “unconventional” is a fitting term to describe the company’s products. While each manufacturer espouses similar philosophies of driving design innovation with a shared DNA of purposeful outdoor utility, many of those similarities diverge in each of the manufacturers’ respective designs and functionalities. 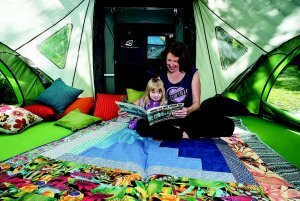 The GO appeals to a broad range of people, according to Dempsey, who says SylvanSport has two distinct customer personas: one is active, young retirees who are either interested in simplicity or downsizing from a larger RV with more complex systems; the other is Millennial young families that want a little more creature comforts than just sleeping on the ground in a tent and who want to bring along amenities without a lot of hassle. “There’s a broad range of appeal,” he says. Dempsey grew up as an outdoor sports enthusiast near the Appalachian Trail, climbing, kayaking, hiking and mountain biking. He worked as a designer at the Coleman Co. when it made pop-up campers and, later, he started a kayak manufacturing company before he founded SylvanSport in 2004. “I had a blend of adventure outdoor sports with one foot in the RV world with Coleman. I thought there was an opportunity to bring the two together,” he says. He created the SylvanSport GO to take the RV to the REI crowd, for which the average age of the REI-buyer is in their late 50s. 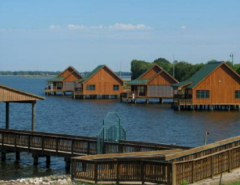 “When somebody said they were going camping, it could mean two distinctly different things: camping in an RV; or primitive camping. The two activities and all the related gear associated with each were completely separate from each other,” he says. Dempsey started SylvanSport to be a bridge between segments in order to bring outdoor gear technology to the RV “space” and to introduce some of the amenities of RVs to the outdoor adventurer. 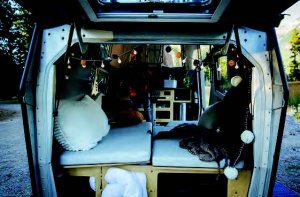 “I created the GO to bring processes, materials and ‘design language’ to the RV world from the outdoor gear world,” he says. The GO camper has an aluminum exoskeleton that’s constructed similar to a mountain bike with molded, plastic components manufactured in his former kayak facility. It’s also lightweight at 840 pounds, which means it can be towed by any four-cylinder vehicle and can still carry many more “toys” – such as multiple bikes, kayaks and combinations of gear – than is possible with a small, typical camping trailer, according to Dempsey. And despite the GO’s light weight, people don’t have to sacrifice traditional RV amenities, he adds. To keep pace with growth the company is experiencing, Dempsey says SylvanSport recently broke ground on a new 60,000-square-foot facility about a mile from its present location in Brevard, N.C. That new facility is scheduled for completion in late summer. “As a small, tightknit company with a great culture, we realize that the No. 1 thing we can do for our customers and dealers is to provide unmatched support,” Dempsey says. “An increase in volume doesn’t diminish quality or service. We’ve actually increased quality with volume, as processes become more consistent and efficiencies build. As 2018 continues to roll along, SylvanSport’s top marketing objective is expanding its dealer partnerships. “We’ve put a lot of effort into more sophisticated lead management and making sure we marshal leads directly to dealers with follow-through,” Dempsey says. “We also place a tremendous amount of effort into dealer event support with boots on the ground, training staff to champion our products, and providing innovative materials to help sell the product. 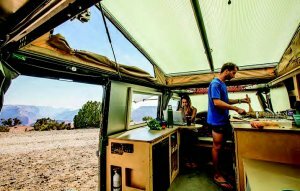 TAXA Outdoors’ design culture and products also are grounded in the outdoor life, Gonzalez says, although its enthusiasts are afforded the ability to adventure into “Patagonia country” and off-road territory thanks to the trailers’ tough construction with a space-age flair. 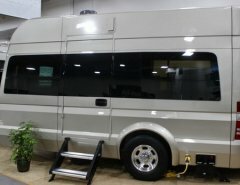 “We have an enthusiasm for the outdoors that breathes inspiration and calculated design and functionality to our campers and trailers,” says Gonzalez, who joined the RV maker shortly after it was founded in 2014, after cutting his teeth at General Motors as an engineer tasked with designing pickups and SUVs. “We build products that we would use when adventuring outdoors,” he says. “There’s definitely a market – and a growing market – that hasn’t been in the sights of the larger and more mature RV manufacturers. The next generation that’s interested in products like ours are Millennials, and we’re very comfortable in that space, because we’re also young and aggressive with our team of designers and engineers. The Woolly Bear and Tigermoth are more entry-level types of products that are attractive to a younger audience that are affordable and can be tucked away in a garage, he adds. During the course of a product development cycle, TAXA views itself as boutique specialist. “We consider ourselves more of a design shop than a manufacturer. Yes, we build products, but we build them because there’s no one else out there that would understand how to build them,” Gonzalez says. “Our brand identity starts with design because no one pushes the design frontier more than we do.” Equally important to TAXA’s design is functionality. TAXA’s lean manufacturing processes have numerous built-in quality checkpoints throughout the assembly and it has an extensive PDR process before delivery. “We never put volume ahead of quality,” Gonzalez says. TAXA Outdoors’ founder and inventor, Garret Finney, is an architect who drives the company’s creative thinking and infuses the design team with energy to push the design envelope. “Design is front and center every day,” Gonzalez says. Based in Houston, rather than Elkhart, Ind., TAXA’s team is not drawn from the conventional RV designer world. Instead, its RV designers have come from different areas and disciplines, such as NASA – where Finney had worked as a space architect, designing habitat modules for the space station – and Google. “We don’t consider our walls as ‘walls.’ We look at them as surfaces, which is part of our design lingo and vocabulary,” Gonzalez says. “All our surfaces have a form and function to them and we’re very careful when we select our material, which is why we sell at a premium price. TAXA Outdoors’ units don’t require generators to run appliances and electronics because everything is on a 12-volt system with deep-cycle marine batteries and wired for solar. Campers can be off the grid for up to seven days with some units, complete with fresh water and gray water tanks, according to Gonzalez. Aside from the larger Mantis (2,800 pounds), all TAXA products can be towed with a four-cylinder Subaru. “We’re a basecamp after a day of hiking in the bush and boondocks,” Gonzalez says, who notes the trailers have 12 inches of ground clearance. Despite being a relatively new player in the market, TAXA Outdoors continues to make inroads and grow its brand as dealers realize the appeal the units have attracting new customers to the market, according to Gonzalez. “We’re a disruptor and we function differently, from design to marketing, which involves digital, social media, and videography,” he says. He adds that TAXA also works closely with every dealer partner to help retailers understand their customer base and how to sell the company’s products. Meanwhile, TAXA will soon be partnering with outdoor gear manufacturers to build out accessory businesses and hardware for the company’s products, according to Gonzalez. Camo to wrap units in camouflage for hunters and fishermen that will be a new segue for us in what we believe is an underserved market.